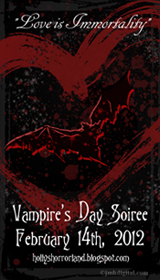 Being Retro: You're Invited to a Sanguinary Soiree! She has some other cool things going on, so look around! did you sign up, holly's a great place. sign up... she is a great lady! thank you, you should sign up... it's a cool thing just like holly.